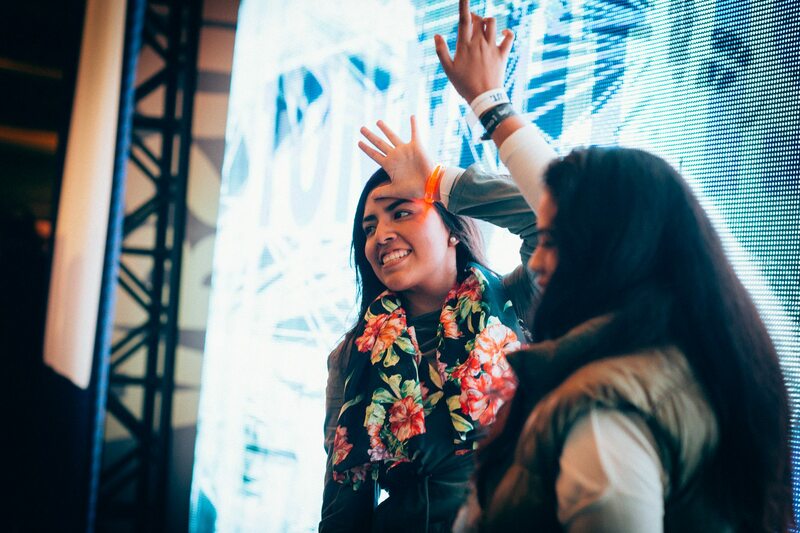 ‘Tonight is Yours to Create’ is an interactive installation created for Absolut Vodka at the 2015 Tag CDMX festival. The installation manipulated gravity using software to generate a ludic experience, inspired in the liquid and colors of the drink. 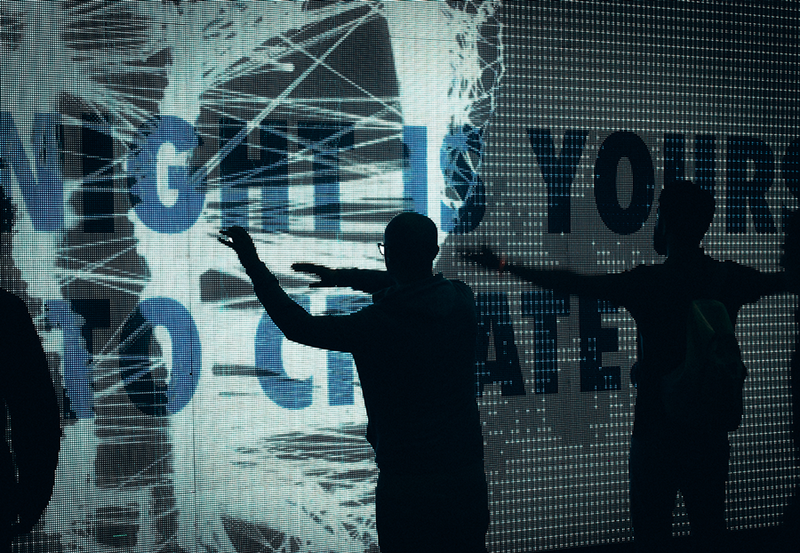 In order to present the brand in a fun, state-of-the-art manner, we developed an interactive installation: graphics were displayed on a LED wall, which contained movement sensors and reacted to the movement of passers-by. The idea was to create movement within a compound of water molecules that would represent the image of the brand and visualize it through body movement.